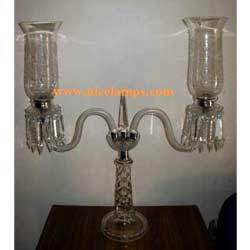 Our customers can avail Fancy Cut Glass Candle Stands from us. 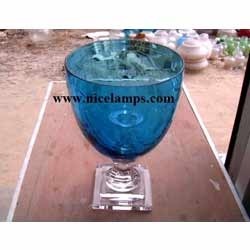 The offered range of cut glass candle stands is available in number of customized designs, shapes, colors and allied specifications in accordance with the diverse requirements of esteemed clients. 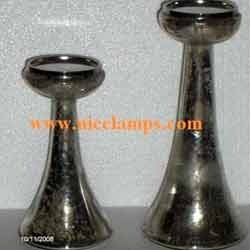 Moreover, the offered range of cut glass candle stands is checked on different characteristics to maintain its authenticity throughout the designing process. 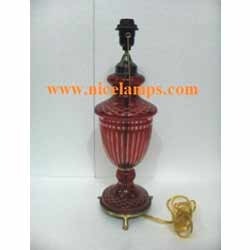 We have gained immense expertise in offering Designer Cut Glass Candle Stands to the customers. 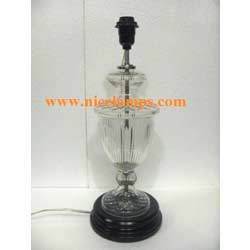 The offered range of cut glass candle stands is manufactured utilizing high grade raw material and modern machinery in strict compliance with the international quality norms and standards. Along with this, the offered range of cut glass candle stands is suitably checked on different characteristics to maintain its authenticity throughout the designing process. 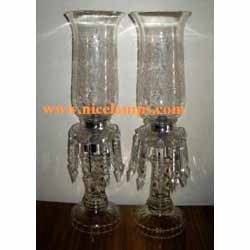 We are an eminent name, which is engaged in offering Elegant Cut Glass Candle Stands. The offered range of cut glass candle stands is developed utilizing high grade raw material, sourced from trustworthy vendors of the market. 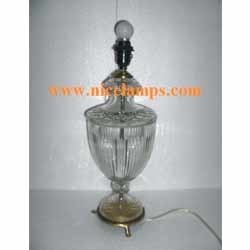 In addition to this, the offered range of cut glass candle stands is available in different customized specifications and forms as per the diverse requirements of respectable clients. 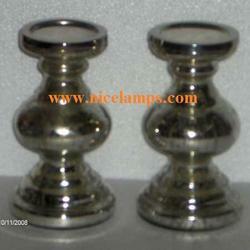 With immense experience and a competent team of professionals, we are able to offer superior Simple Candle Stands. 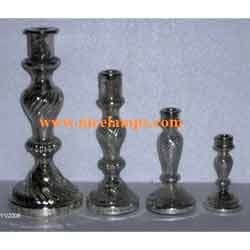 These candle stands are manufactured utilizing high grade raw material and innovative techniques in strict conformation with the international quality norms and standards. 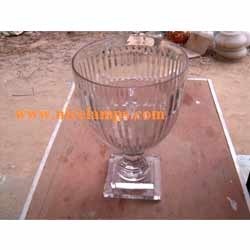 Along with this, the offered range of cut glass candle stands is available in different customized specifications and forms as per the diverse requirements of clients.